Alex De Vera Dizon 4/05/2011 cebu, davao, erville magtubo, firebox x55e-w, iplus intelligent network inc., lamco international, manila, philippines, terry haas, watchguard technologies inc.
Last week, headed by its Vice President for International Sales Terry Haas, the one of the leading US network security company, WatchGuard Techonologies Inc., donated a whooping Php4-million worth of network security products to selected universities in the Philippines. 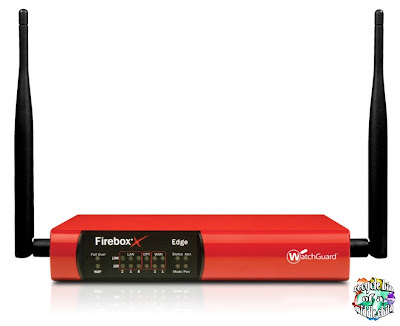 In partnership with Lamco International and iPlus Intelligent Network, Inc., universities like De la Salle University, San Beda College, Technological University of the Philippines and University of the East received WatchGuard Firebox X55e-W, which they use to defend school networks from computer viruses and other threats that are growing in the Net. These are just some of the universities in Manila who will benefit from thsi very generous gift from WatchGuard. Some of the WatchGuard unit will also be flown to Cebu and Davao, where students from the south canl also experience these amazing and heart-warming gifts from WatchGuard Technologies. Firebox X55e-W is WatchGuard's most relevant product that can help these universities solve problems related to inappropriate usage and can protect students from objectionable content and 'cyber-bullying'. According to Mr. Terry Haas, this unit is so easy to manage and to use and can provide several powerful threat prevention features. While Mr. Erville Magtubo, Vice President of iPlus and Infocom said that WatchGuard Technologies does not only offer users protection but also value for money matched with top security performance. WatchGuard Technologies' Firebox X55e-W is an easy-to-manage firewall and Virtual Private Networking (VPN) security appliance that is highly recommended fro schools, small business and remote office. Philippines is indeed a very lucky country! Thanks to our friends from WatchGuard Technologies! These gifts will surely be a great help to students and to their schools! that is one great news and a great tool for the universities. i think it can boost educational advancement, hence it's a tool to keep and protect.